If you love the Dragonkeeper series* and you live in NSW—here’s your chance to meet the author, Carole Wilkinson over afternoon tea! Cost: FREE but bookings are essential! 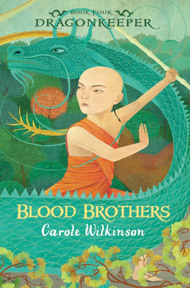 * One of our Undercover Readers Club members reviewed Blood Brothers from the series. You can read the review here.